This new listing is on 15 Deallyon Avenue Unit # 98, Hilton Head Island, SC 29928 in South Forest Beach which is the island’s most popular destination. This villa has three bedrooms, three full baths and one half bath and is three stories. The balcony overlooks a landscaped and lagoon view and the Courtside swimming pool. 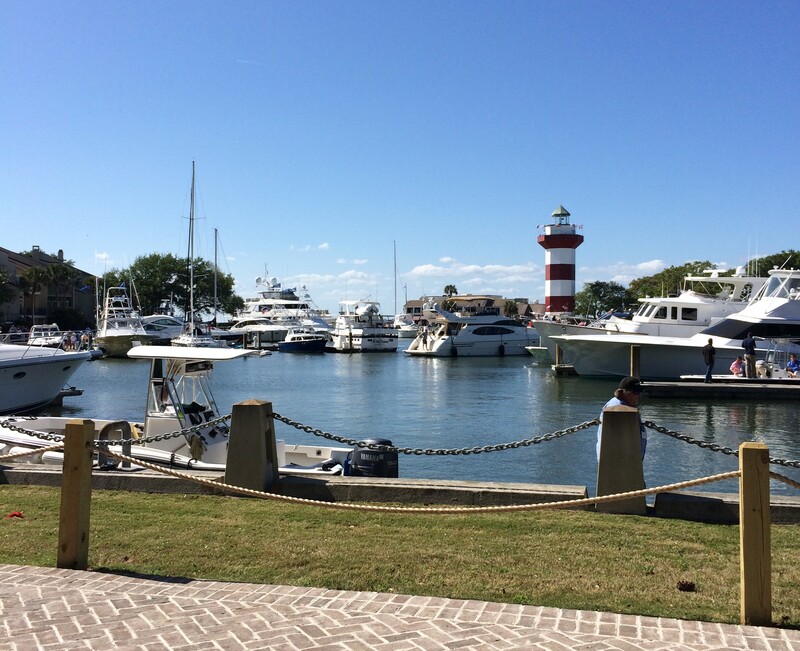 Hilton Head Island offers 12 miles of pristine beaches which is a recognized time and again as the top resort destination worldwide. This villa is about a 4 minute walk to the sandy beach on the Atlantic Ocean. In addition to award winning beaches the island is host to 24 golf courses, 100 miles of bike paths, many water sports and excursions, award winning tennis, over 250 restaurants and great shopping. There 3 grocery stores and approximately 50 restaurants within a mile of this Hilton Head Villa. Courtside owners and guests can enjoy two on property pools and the Forest Beach area is home to the most popular beach destination on the island. 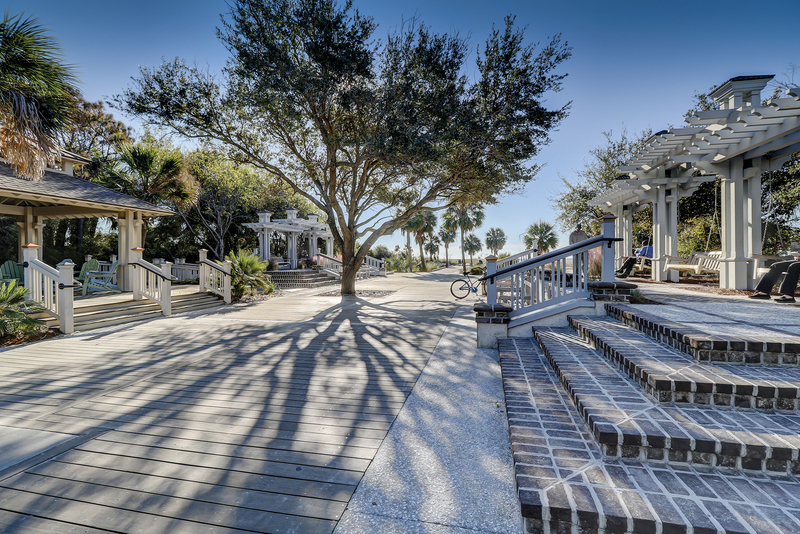 Coligny beach offers locals and visitors alike with free parking and great facilities. A short stroll north or south will lead to quiet beaches with single family residences along the dunes so you can enjoy the best of both worlds. 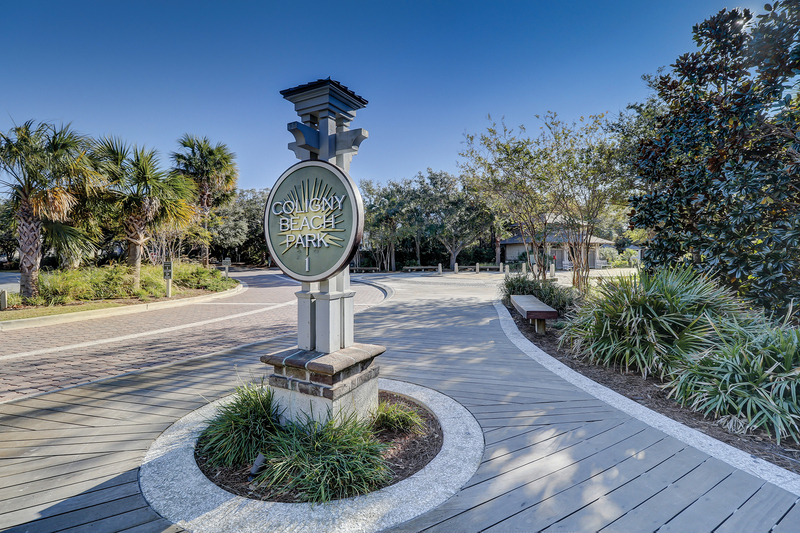 Coligny plaza is a popular destination with many shops, restaurants and a small movie theater. The plaza is less than ½ a mile away from Courtside. This Courtside villa is offered furnished, complete with house wares and everything you need to start enjoying your very own beach home. On the first floor you have a fully stocked kitchen with tile floors that open to the dining area and great room. This is an end unit so the dining area has many windows for plenty of natural light, a dining table that seats 6 and a bar top into the kitchen. The great room, dining room and foyer are all finished with a light color wood laminate. Through the great room you can access the balcony overlooking the lagoon, lush landscape and the pool is off to the right. You can gain access to the pool by the spiral staircase off of the balcony. On the second floor you will find two spacious bedrooms with private bathrooms. The one bedroom offers a queen bed while the other has two double beds so you can easily sleep 6 on this level. Both bathrooms have tile floors and a tub/shower with tile surround, one bathroom has a pedestal sink and the other has a vanity. You will find a full size washer and dryer on this level as well. On the third level you will find the master’s retreat which is spacious and bright with a lot of natural light. There is a king bed, a day bed and a rollout bed for sleeping of up to 4. Also you will find double his and her closets, several built-ins and one offers a wet bar. The unique master bath offers a his and her vanity and commode with great separation. This villa is in a great location, nicely decorated, rents well to offset your costs and is 3 bedrooms and 3-1/2 bathrooms. You can sleep up to 12 easily and it is turn-key so you can start enjoying it right away. 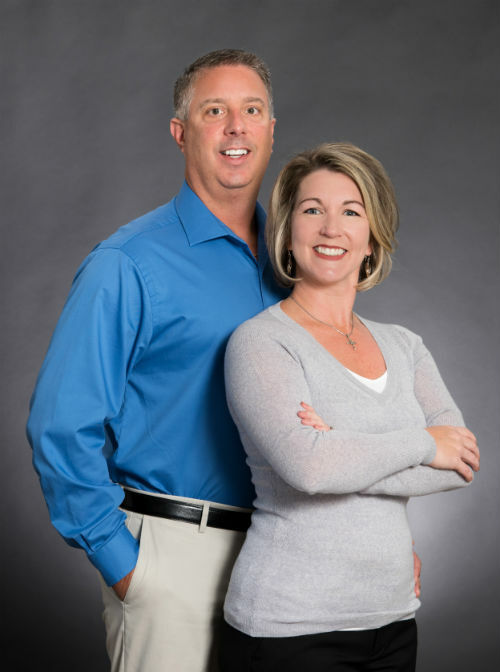 Give me a call for a private tour at 843-384-0308.